I followed the live reveal of the Apple IPhone 4S online at a couple of blogs that had correspondents at the meeting. Many anticipated the meeting to be for the reveal of the IPhone 5. 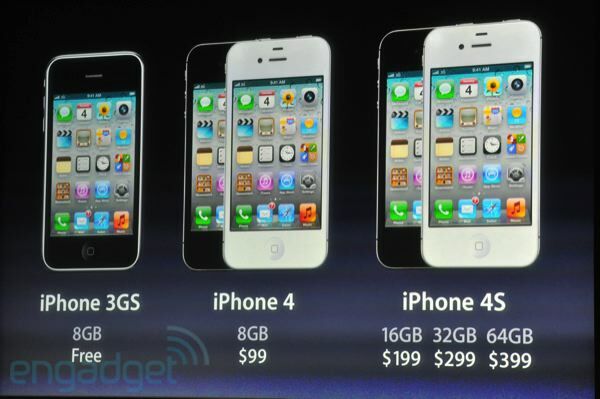 But, Apple surprised everybody, as it often does, with the new 4S. Pre-orders for the 4S start this Friday, October 7th. It will be available on October 14th. In the US it’ll be Verizon, AT&T, and Sprint (CDMA and GSM networks). Voice recognition is possible. This software has come a long way. It is now almost casual speech capable. phone. I might just buy my first Apple for myself (I bought an IPod for my wife in the past). Not to be lost though, is the fact that the industry was expecting the launch of… more. Still absent for the new 4S is the larger screen and the 4G capability that is being rolled out by many carriers. These features were expected to be launched today in the IPhone 5, not the 4S. Yet, the IPhone 5 was conspicuously absent today. So, all in all, a nice upgraded phone was launched. It’s features and capabilities are an improvement over the last version, as one might expect. But, the launch still left many wanting the still absent next generation. Leave it to apple to create greater anticipation for the next great thing. This entry was posted in Technology and tagged Apple, cell phone, IPhone, iPod by hernandiesel. Bookmark the permalink.